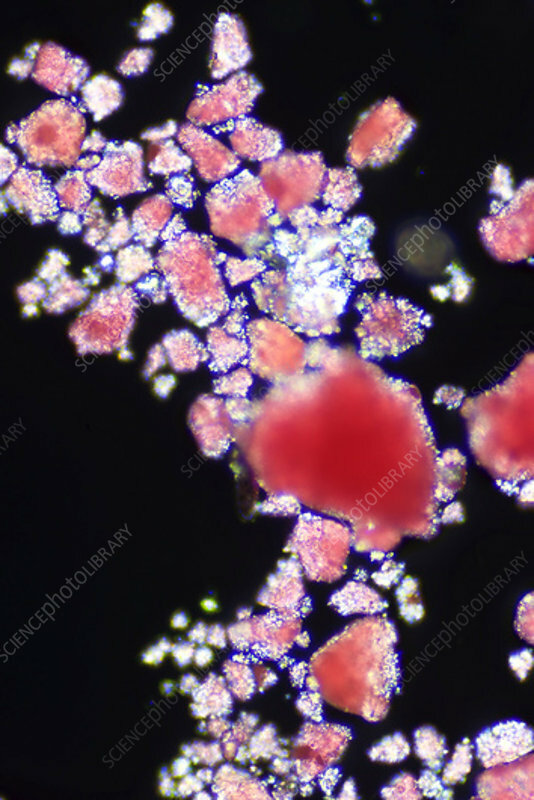 Microplastic particles in a drop of seawater, light micrograph. Trillions of tiny pieces of plastic are accumulating in the world's oceans, lakes and estuaries, harming marine life and entering the food chain. Sources of such microplastics include the microbeads in scrubs, shower gels and toothpastes. Other microplastics form as larger pieces of plastics disintegrate over time under the action of sunlight and weather.